How many of you do not read the telco contract and simply sign blindly? 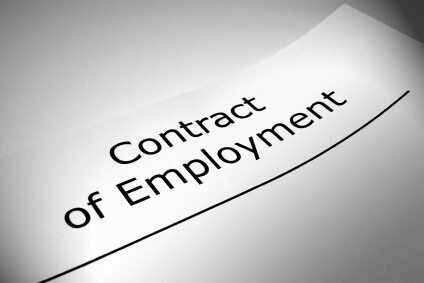 But when it comes to your employment contract, you better scrutinize it with a mine sweeper. Legality can be the most torturous stuff to read and remain awake by the 2nd paragraph. Yet all your rights and bargaining chip in resolving future disputes with your employers rest in all those fine prints. Like it or not, you need to know. The guidelines were developed jointly by the Manpower Ministry (MOM), the labour movement and the Singapore National Employers Federation, and advise employers to provide information such as daily working hours, overtime rate of pay, and leave entitlements within 14 days of theemployee starting work. They should provide these to staff who have been employed continuously for at least 14 days. The terms can be in hard or soft copy form, as long as employees can keep a copy of it. There had been far too many employment related disputes going around and many of them aren’t even reported. What you read is just the tip of the iceberg. In 2008, Recruit Express was fined a total of $1,000 on Tuesday for giving different length of termination notice in contracts. A representative of Recruit Express admitted to two charges of entering into a contract with an employee, stipulating different length of notice of termination to be given by employer and employee. So if you wish to quit, you might need to give 4 weeks notice. But if they don’t need you, it is a week. Although we would love to pin the blame on corporations, knowing your employment terms well might have prevented the whole thing. The knowledge assures employees of their regular income and main employment benefits, and helps to prevent or resolve employment disputes that may arise.